Here are some notes I've made on how to configure Ableton Live to both edit patches on UltraNova and record the USB audio stream. Screen shots are from Windows 7. Configure Ableton Options: Menu>Options>Preferences>Audio tab to select ASIO and the the novation USB driver. This tells Ableton you want to use the UltraNova as your sound card. Turn the Monitor knob on the UltraNova (the knob just under the mic input) all the way counter-clockwise to "From Host" so your only hearing output from Ableton. Configure Ableton Options: Menu>Options>Preferences and configure Ableton to see UltraNova. Make sure you turn on Track, Sync, and Remote for both Input and Output. You can now record audio clips from the UltraNova by clicking circles within the Audio track. To edit the synth using the plugin, click the MIDI track containing UltraNova plugin then click the wrench icon to launch the editor. 8/29/2011 Update: I've learned more about using the UltraNova with Live so I've added some two new sections below. You'll see the parameter appear in the list of device parameters. Continue to move controls for other parameters you want to map. Once you've selected all the parameters you want to use, click "Configure" again once you've specified all the parameters you wan to map. Double click on a blank clip slot in the MIDI track holding the UltraNova editor to create a dummy clip. You can now draw automation envelope for the parameters you configured. Play the clip to send automation to the UltraNova. When you press buttons and turn knobs on the UltraNova, MIDI Continuous Controller data is transmitted via MIDI and over the USB connection to Ableton Live if the Global paramater "Local" is "On". 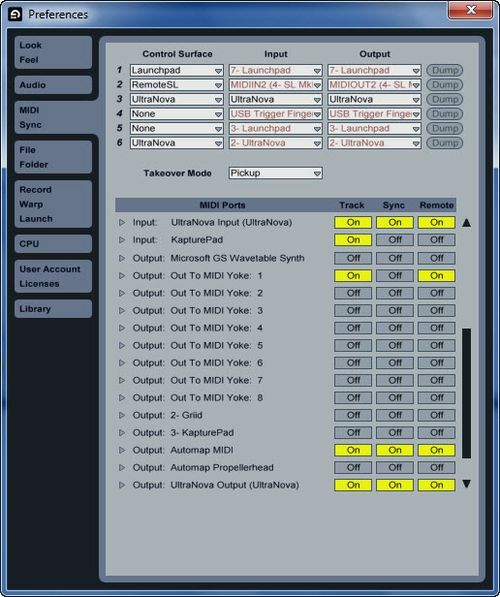 See this post for a link to the MIDI implementation chart for the UltraNova. In order to record this controller movement as automation data into Ableton Live clips (in either Session or Arrangement view) as you perform you need to remove the UltraNova editor from the MIDI track. This is necessary as the presence of the UltraNova Editor within a Live set will automatically turn off "Local On" on the UltraNova hardware to prevent MIDI loops. If this is the case the MIDI CC corresponding to UltraNova controller movement will not be transmitted. So, simply remove the editor plugin and you'll be able to record automation. In the screen shot below I turn the a "Tweak" knob associated with Filter 1 Frequency (CC74). I was able to record Arp On/Latch, and Chord memory buttons as well. I could record touch encorders but it was a little fidgety. You could also use yoru mouse to hand draw envelopes for any CC the UltraNova can recieve. Hi,Im using my audio2dj as the audio interface, can you advise what settings to use in terms of sorting out the latency please, im getting quite a delay from pressing the keys and hearing the sound which is also crackiling every mow and then. Your welcome Iain. Glad the article helped out and your up and running with your Ultranova. Hi, I rarely bother to sign in to comment on things online, but I’m definitely making an exception here. Thanks for this tutorial mate. Very, very helpful. It got me up and running with my new Ultranova quickly. On Windows, Ableton can only see one sound card at a time. So I’d say route the audio from the UN into Live, or use the UN as Lives sound card and use the monitor knob to change what you are monitoring. Is there a way to use the Ultranova Soundcard and another one? I can record the Ultranova and route it´s audio in ableton perfectly fine, but now i want to route abletons master audio into my pc´s soundcard. So basically i want to route the Ultranova audio into Life into my Soundcard using the usb cable. I remember this happening to me once but can’t remember how I fixed it. I just hooked up, fired up the editor and all is well. I’m running 1.1.03. You might want to drop a note on the UltraNova forum about this. Somehow, I seem to be stupid… Getting sound and/or midi from the UN into ableton (and record them) is no problem! But launching the UN editor in ableton causes the UN to TURN OFF local. Manual writes, its ment to be this way, to prevent midi-loops. But local off causes silence on speakers. And of course I´de like to hear what I´m editing in realtime! My Setup: as described above by Mark, UN is used as soundcard + synth and is pluged to the speakers, PC is connectet to UN via USB. Anyone any idea what I´m doing wrong? No – sorry – I’m on Win 7. Hello Mark, you don’t have a Mac walkthrough do you? I know for the most part it is the same. If you were on windows I’d say the USB Drivers from Novation were not installed. Maybe there is a difference in what the audio settings look like on a mac. Pop over to the http://forum.novationmusic.com/viewforum.php?f=44 and see if any one else is seeing the same thing. If I need to update the article for mac let me know. 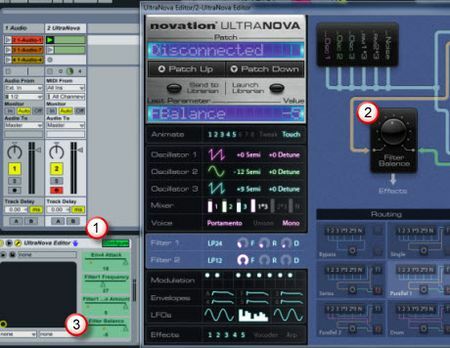 Hi guys, I Just purchased my ultra nova a couple of days ago and am just trying to work out how to use it with Ableton. – Configure Ableton Options: Menu>Options>Preferences>Audio tab to select ASIO and the the novation USB driver. This tells Ableton you want to use the UltraNova as your sound card. There’s no option to select ASIO there. It just has either ‘No Audio ‘ or ‘Core Audio’. Thank’s again Mark Novation should pay you for your help, lol. I have all configured now, finally, i spent 3 days trying to put all together now it’s time to enjoy the Ultranova, oh boy oh boy. Keep the good work Mark. FYI – I just updated the article to note the sound cart settings. Thanks for the feedback on this. Thank’s for the reply Mark, i think there’s a general lack of interest about the ultranova, i don’t know why because i find it pretty good actually. Even in the Novation site the technical support seems to have also big problems to help the users solve some problems, i see your posts helping others in the novation forum. So my next challenge is how to configure the combo Ultranova, Nocturn controller and Launchpad to use in Ableton live, because i’m having headaches to get my Automap Pro version activated. Right when I saw your comment I realized I took that step for granted. I’ll update the article to put in that step. Glad it’s working for you. UN, Noctrun, LPad is a great combination for live. It’s on p. 6 “UltraNova connected to a computer via USB. USB transmits audio and MIDI to and from the computer.” In my example audio comes in on track 2 “Audio”. You just need to make sure both the MIDI and audio track is armed and the monitor knob is set properly. 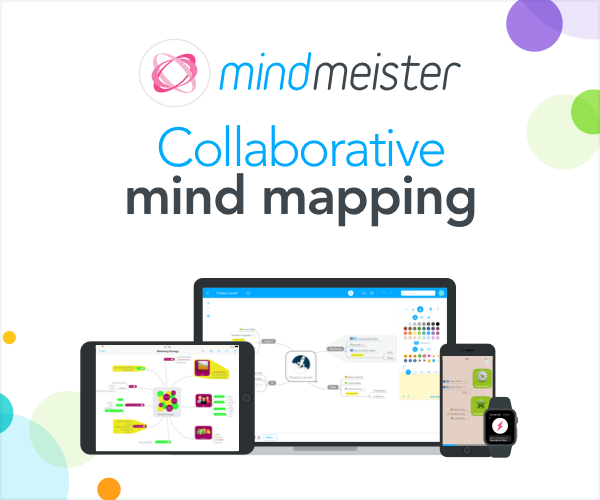 You can control touch but it’s a bit fiddly – see the last paragraph of the post. Mark, I’m not following how the audio gets from the Ultranova into your computer. My manual says that the Ultranova does not send audio data through the USB, so I don’t understand how you’re recording it in this configuration. Can you explain that? Also, I have a question regarding recording animation. Is it possible to record the “touch” of the continuous controllers as well as the modification of paramters? I love the live controller element of those rubber knobs but would love to be able to record those touches into the automation of my tracks. Have you pulled that off yet? Many thanks, your blog rules!! !